When you log in, you will see a prompt "The application DSS by fosterwebmarketing.com would like the ability to interact with one of your Infusionsoft applications. Allow DSS access?" Choose Allow. Once allowed access, you will be redirected to CRM Forms page in DSS. Your InfusionSoft and DSS accounts are now connected! To connect one of your forms in DSS to one of your InfusionSoft forms, begin by selecting the edit icon on the CRM - Forms page. On the form page, you will see a new select option for "Override With Infusion Form." Use this drop-down to select the InfusionSoft form you would like to use in place of the provided form. Once selected, the custom form inputs will disappear. Be sure to save at this point. 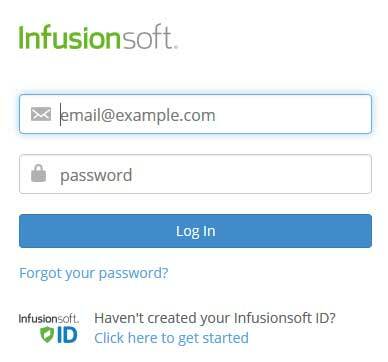 Your InfusionSoft form is now live on your site. Be sure to test your form to make sure it is working properly! Please Note: Your account must be CRM-enabled to complete this integration. If you are not already using your DSS CRM, it is as easy as contacting Customer Service to get started!